A drama series that centers with an ex-con who assumed the identity of the sheriff of Banshee, Pennsylvania. He continues with his criminal activities while trying to work on with his new identity and hiding from the Ukranian gangster called Rabbit where he betray a few years back after stealing diamonds. 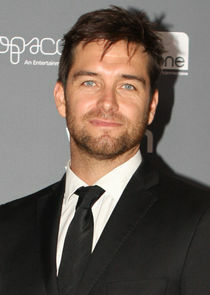 Stars Antony Starr, Ivana MiliÄeviÄ‡, Ulrich Thomsen, Frankie Faison, Hoon Lee, Rus Blackwell, Matt Servitto, Demetrius Grosse, Trieste Kelly Dunn, Ryann Shane, Daniel Ross Owens, Lili Simmons and Ben Cross.